Ever heard an inspiring quote you wish you could save? 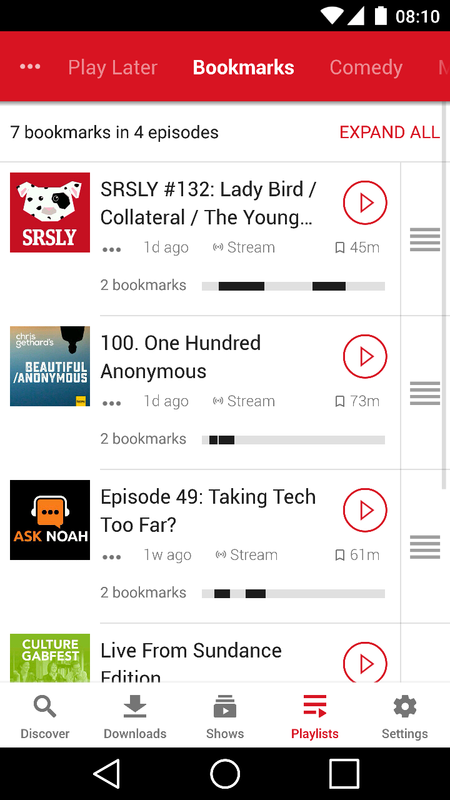 Player FM makes it possible with bookmarks! 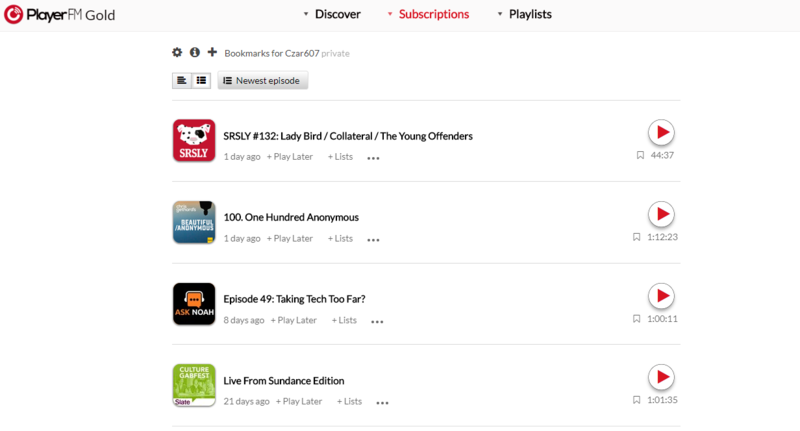 Now you can resume where you left off, capture key sections of a show, and even take notes. Creating a new bookmark is easy and fun. Simply tap on the bookmark icon on the player to capture the moment. A single episode can have as many bookmarks as you please. 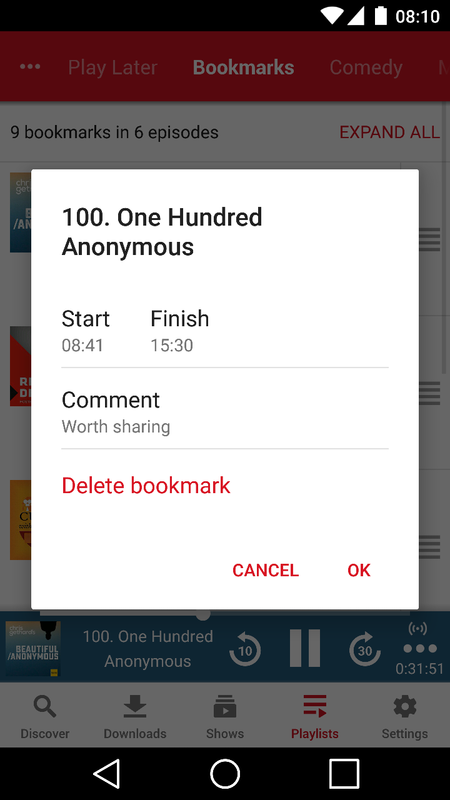 Each bookmark has optional start and finish times, and notes. For your convenience, the start time is automatically filled in if it's the episode you're currently playing. Your bookmarks are immediately available across all supported devices and the web. How long can the bookmark notes be? While the interface is designed for short notes, you can certainly leave notes of several paragraphs if you want to.